The big story coming out yesterday was Gov. Bob McDonnell’s announcement that he is going to give back the gifts he received from BFF Jonnie Williams, including the Rolex. As I read somewhere else, I’m not sure what value there will be in an engraved watch. Maybe the governor can just pay Williams for it and keep it? McDonnell, obviously, can’t give back the intangible gifts, unless he intends to reimburse Williams for the value of them. Not such a bad idea, actually. The other thing to come out of the governor’s radio interview yesterday was his throwing AG Ken Cuccinelli under the bus for the $53,000+ in legal fees the taxpayers of Virginia are having to pay. No love lost between these two. 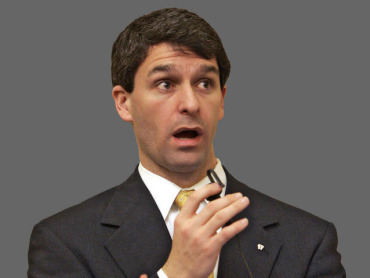 Of course, had Cuccinelli resigned, we’d have had an AG fulfilling his role as the governor’s lawyer. As it is, we’re paying twice.